Slightly Mad Studios have released a new render of their upcoming, community-funded, C.A.R.S. 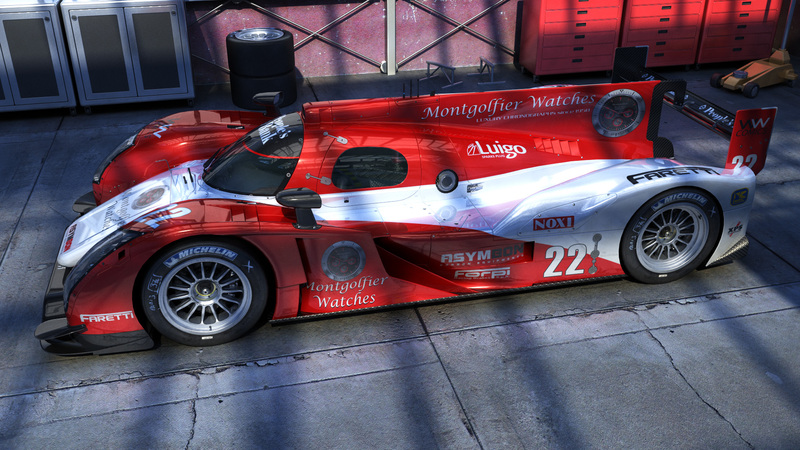 project, revealing a brand new car as we get to check out the Audi R18 TDI LMP1 Le Mans Prototype. Following the first renders that revealed the Lotus 49 Formula One car, this is the first time we get to see a modern race car in C.A.R.S. The R18 TDI is powered by a V6 Turbo Diesel engine, it won this years’ Le Mans 24 Hours race after making its competition debut at Spa Francorchamps just a month earlier. Interestingly, the car sports a completely fictional paint scheme without any Audi logos, this may very well be a sign of licensing still being worked on in the background as SMS revealed in a past article. 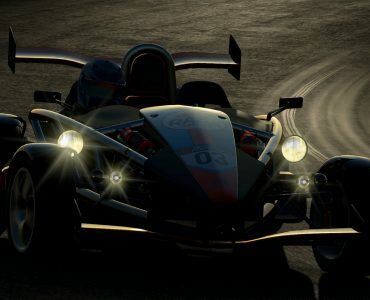 C.A.R.S., which stands for Community Assisted Race Sim, is a new project by Slightly Mad Studios that will allow sim racers to invest in an upcoming simulation title. In return, the investors will get to have a major say in the direction the title will be taking, get development builds and get to follow a completely transparent development process that shows the SMS team at work. Update: High resolution preview added. By the way, where can i download the high resolution picture? I would appreciate it if SMS would actually provide more information about how they are going to open up their development process and explain us exactly how we can participate. Can we for example go and visit their offices and be present at meetings, watch their developers work on the software, etc.? So far all we got are a few very nice renders, which don’t tell us very much. Here’s a higher res shot. A very beatifull render. However, it would be nice to get some more info on the game itself. The sim engine, the GFX engine, Moddability… stuff like that. I love nice renders, but it does not really relate to the sim itself. so i hope we get some more practical info . ARRRHHH! That car scares me every time! First the evil preview photos. Then the evil crashes with supernatural strength that had every one survive. Nail biting close victory… I can’t take much more! I hope they arent concentrating on racing cars only. I am fed up of modders concentrating on racing cars mostly. i like to drive rioad cars too and not just the fast cars. i enjoy driving the slower cars too. Saying that , that render is amazing. My computer would go into cardiac arerest if I tried to render that on it. I would agree. How many beautiful renders have we seen that were not representative of the end product? It seems a bit dubious to ask people to contribute money to develop a game without a solid plan in mind that includes a graphics/physics engine, etc prior to releasing eye candy (that the game may or may not ever be able to match). Shame on me. I did go back and re-read some of the past entries regarding physics/graphics, etc. Still, I would be careful about rendering a bunch of cars, etc. without determining whether there is enough interest to produce such a project. Getting people’s hopes up with renders, etc and generating interest in the project itself are two different things. That being said, the model does look spectacular. Has anyone heard anything about the multiplayer support and plans for the game? Would this compete in the same realm as Iracing or the like, with dedicated servers? Based on what, graphics? lol You crack me up. it’s in game guys. (menu or something) so not really a render. The car is Perfect, what is needed is to test the game now! I hope SMS keeps up their style from the Shift games and will bring a complete LMS field and not only single cars. Damn, a competitive online LMS and I would freak out. And I hope they don’t try to compete with iRacing or rFactor 2 in regards to realism. Just make it realistic AND drivable. This just proves that SMS got a couple of great 3D modellers, but their game engine based on the Shift series is really lacking in the graphics department compared to lets say Codemasters Grid 3. The graphics is not sharp enough and there is to much flares and post-processing effects that ruins the natural look and sharpness. Very nice 3D model. I only hope they get rid of fantasy/fictional-liveries and get real ones instead. iRacing is much more “drivable” than Shift, mate… And how could you possibly know how rFactor2 drives ??? I think it’s just a render from MAX and that’s the way it look nice. Show as some in game screenshots!! Go play some Forza or GT5, then… Yes, mate, sim-racing IS about… RACING !!! You want to watch the developpers ??? Where do you think you are, at the zoo ? He’s been to the future and played rFactor 2. 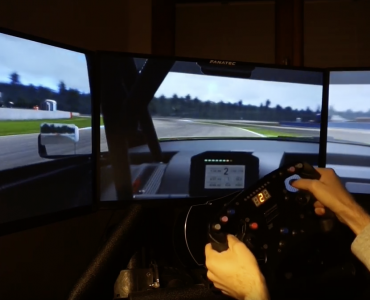 Sim racing is’nt just about fast cars. Its my right to play whatever game I want. Do you thrive on being arrogant and rude? I just saw your post that you used to be a developer. That explains why you are so arrogant. A lot of developers are arrogant and greedy , but not all developers are like this. Also somebody that is rude like that to me is no mate of mine. This coming from the guy who told me to go play forza. well…no. How about not mixing up realism and feeling with drivability in terms of jump in and have fun. feel the car. being able to drive many laps in a row on the edge. Grid 3??? What are you talking bout? I think he maybe means DIRT3 but for me he is wrong if he does mean DIRT3. SHIFT2 in DX9 was superiour graphically to DIRT3 in DX11 by a fair bit. DIRT3 is very bland and dull and SHIFT2 possibly has the best lighting/graphics seen so far in any sim IMO. iRacing is by far more “drivable” than shift(1 or 2). I am chilled. It just gets me when somebody tells me to go play gran turismo , forza or some other racing game when I say I like to race the slower road cars as well as the faster cars. I wish the developers nothing but success with their venture, but it never ceases to amaze me how a render like this can be taken to mean anything at all. Who could ever forget those two guys in England many years ago, who tried to sell a sim concept with a few, admittedly awesome, renders. I’d personally need to see a working demo before even thinking about parting with some money. If you have some money to spare, We have 50 WSGT2 renders. You would be the first to decide parting money based on a render 🙂 . These aren’t just “some guys”. This is SMS. Every heard of GTR? GTL? GTR2? These guys have a proven track record when it comes to sim racing titles. Yeah, but garage/ menu shots are still something different to real ingame shots. 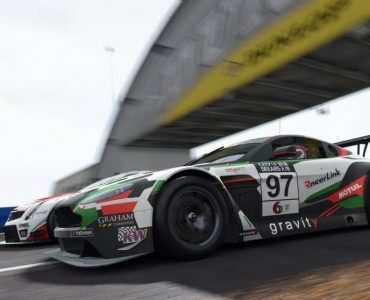 You can use much more polygons, texture resolution and effects for the garagescenes than you can for the ingame race tracks and car fields, just because the scene is focused on one car. Does Ian has some blog or sg? Where can I read his comments? Time for SMS to open a forum just for CARS. Giving out information on some exterior forums where not everyone can see what they write is BAD. Let me firstly say that I have purchased all the Simbin games, from the get go right up to most of the latest add-ons and still play them regularly, like almost every night. The force feedback, in particular, is absolutely without equal. As a predominently offline racer, there is nothing I have ever played that even comes close. Please don’t take my comments as negative. You can thank the West Brothers for my antipathy towards nice looking renders. For me, your project would be a more convincing investment if you were to put out some kind of technology demo, showing what your new game engine brings to the party. I hope that is in your plans. I would most of all like to see a base game that works in a similar way to Flight Simulator X or Railworks 2, creating a solid base platform that affords a viable business model for the emergence of professional sim race mod developers. Some will say that rFactor fulfils that need, but it is now old tech and, to be honest, the videos we have seen of rFactor 2 look, to me at least, rather less than convincing. But we cannot judge that situation until release. I’m sure I speak for many here when I say that the hobby really needs some completely solid add-ons related to sports car racing – late 60’s/early 70’s – Group C era (most of all) and present day Le Mans. Hopefully that will happen with your new venture and I wish you the very best of luck with it. When you think these ideas were put forward in 2003, the graphical detail shown would, even now, bring most PC’s to their knees. What I will say, though, is that some of the ideas put forward were very good indeed. A shame it never happened. You don’t need registration to read the Nogripracing forum. Thanks. I’m curious about SMS doing something really “unleashed”. The game is going to be free-to-play so there’s no need for a demo. They will make their money with microtransactions for new content. It won’t cost you a single penny to play the finished product. The game will be free-to-play! There’s no need for a demo. The finished product will not cost you one cent. They are going to make their money through microtransactions for new content (cars and tracks). If you like it, great. Buy the addon content. If you don’t like it, no worries. You haven’t spent any money. I love how we get this awesome looking render and people eat their wahburgers and piss and moan about this and that. I’d say this is a pretty nice looking start to an exciting project. Bring on more info!! No prob, I came across their website (again) only 2 months ago while i was googling for “the most anticipated sim game ever”… or something in those lines 🙂 while is was compiling info on a microtransactions simracing project. I think that the point C.A.R.S. defensors are missing is that we’re not bringing down SMS just because we’re in the mood for it. We know their awesome track record. We know they were responsible for GTL. We just have no clue what we’re putting our money into. All we’ve got is a couple of renders. Maybe it’s just poor marketing, or excellent marketing – depends on which side we’re in. Ideas? They’re for free and they come aplenty.- ask any guy in the gaming business. Capability? We’ve got some seriously capable guys among the modding community, just look at the WSGT2 guys or Arnold Wong by himself. Budget? Well RoR is for free, LFS was created by 3 guys, both Racer and X-Motor Racing were created by one guy… Simbin used to be a modding team. Etcetera. Maybe it’s time the modding community got together and made a project by themselves. With all that being said, I hope SMS proves me wrong and deliver a great simracing title, honestly. @ Mike: My idea of asking money from the simracing community to create a game has nothing to do with game content, but with technology. @Mike, fair point but I was under the impression they were looking for investors? Therefore, like any financial proposal, they need to dot the i’s and cross the t’s somewhat more comprehensively than a couple of renders. I’m sure we will see more as it progresses. Wih respect, I don’t think you’re understanding SMS’s proposal. Marcel is pointing out that the information is currently a bit thin and, as they are inviting community investment, everyone interested wants to know what the package is they’re being offered before making any sort of commitment. 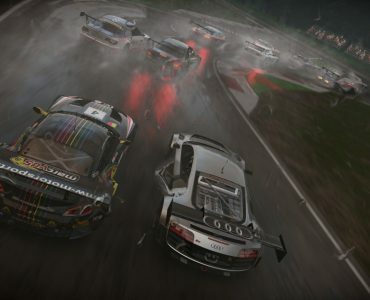 As far as visiting developers is concerned, Codemasters recently held an invitation only open day for the community to try out F1 2011, so it has been done before. This is exactly what they are going to do. They’re just waiting to have all the legal things sorted out, so that they can put online their website as explained here. Are you saying NKPro isnt a racing sim then? Its got two slow cars in the list. I didnt ask for a load of road cars but a few road cars would be nice. The only thing missing from the PC is a decent racing sim that has Road cars in it.